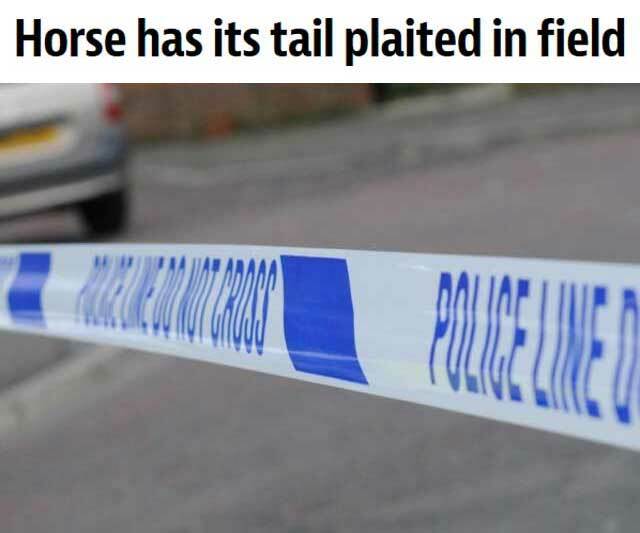 A woman reported to police that her horse had its tail plaited during the night. The horse was in a field on Borron Lane in Capernwray, Lancashire. It had its tail plaited sometime overnight and into the morning of March 17. Anyone who saw any suspicious activity around this time and place, should contact the police. When will this vicious hooliganism end?! 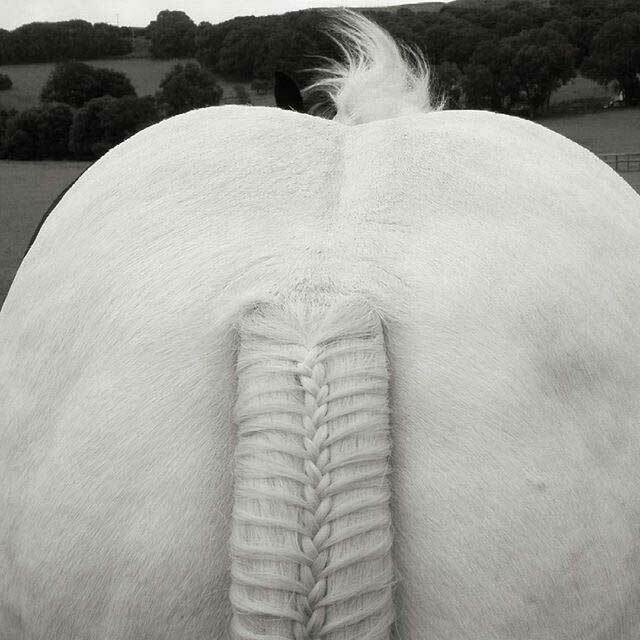 Wish someone would come into my bedroom and plait my hair like that while I'm sleeping.